Now in its seventh year, the FLATS Trail Half Marathon is a 13.1 mile celebration of the outdoors that starts while the mist is still rising off beautiful Forest Lake and ends at West Winery at Jackson Stables with festivities aplenty. Come out to run, volunteer, or cheer on your friends Saturday, October 28. The race starts at 8:30 am by the flagpole besides the Thousand Hills Marina and run the unpaved Thousand Hills Trail all the way around Forest Lake finishing at Jackson Stables. 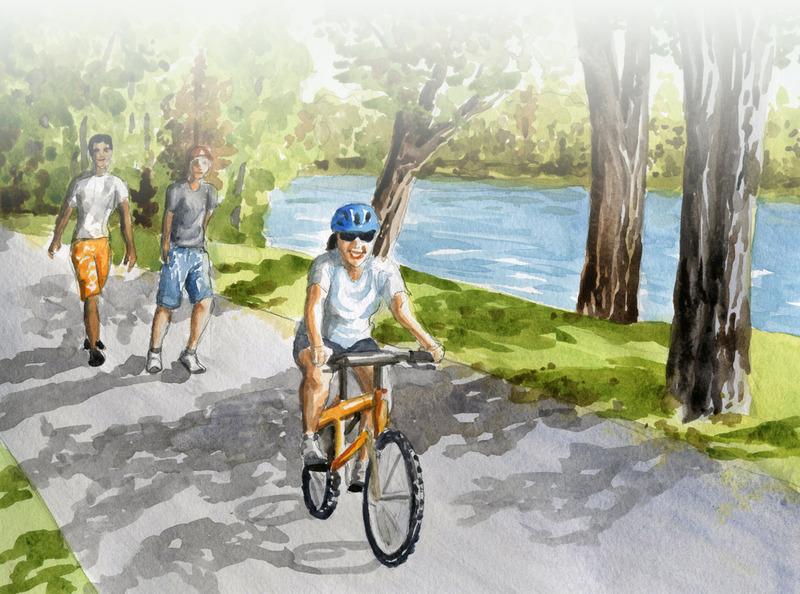 This event bring scores of hikers, bikers, and runners to the beautiful Thousand Hills Trail, motivating volunteers to keep the trail in amazing shape, and has raised more money than any other event for the construction of the Forest Lake Area Trail System. If you’re ready to run, volunteer, or just want to learn more about this great race “like” the FLATS Trail Half Marathon Facebook page or just head over to active.com to register now!